Spread Beans on each slice of bread. 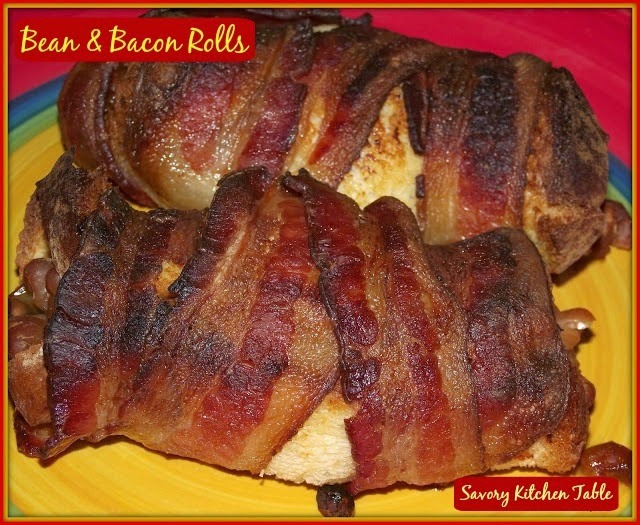 Roll bread up and secure with 2 slices of bacon with toothpicks. Bake for 30-45 minutes until bacon is crisp.